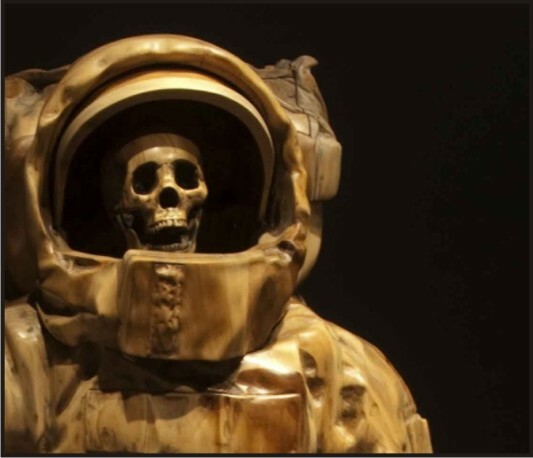 Internationally known artist Brandon Vickerd’s presentation Dead Astronaut at Definitely Superior Art Gallery employs the language of monumental figurative sculpture in this pop culture reference, a wood-carved skeletal astronaut which gives presence to secret failures of the space race. Purposely diverse, Vickerd’s work is an examination of sculpture as a catalyst for critical thought, enriching the audience’s engagement with the physical world through the creation of spectacle. Vickerd is a professor at York University, Toronto and has an extensive CV. A critically acclaimed artist who has been featured in solo and group exhibitions throughout Canada and Internationally with an upcoming show in New York. You never know what you’ll see downtown!